I’m a very 40 something, single mother of two amazing seven year olds. I’ve always enjoyed reading, as a child it was my escape, as an adult it has always been my me time. I’ve had periods of not reading, especially when studying because who wants to spend so much time reading for assignments and then read any extra?! Well, I didn’t. My reading journey didn’t start easily, I was diagnosed as dyslexic aged about six, picked up because I was struggling with reading and pretty useless at maths. Sadly my math skills have hardly advanced since that time, but thanks to a lot of hard work my reading did. I still struggle, I often replace words in a sentence with a word from the line below, or sometimes I just randomly insert a word. My daughter recently asked me why I can’t read properly when I was reading her a story. I really wasn’t sure how to respond, because she’s right, and no doubt as they get better at reading themselves they’ll realise that I often make mistakes. But those mistakes don’t take away my enjoyment of reading a book. What does frustrate me is how slow I read. I hear of people reading a book in a day, that would never happen with me. I read 52 books last year (2015) and that was pretty amazing for me (and one or two were children’s books!). I have so many books on my tbr (to be read) pile that I’m just never going to get through, even if I were to stop buying now and live until I was 100. So many amazing books that I want to read but so little time. 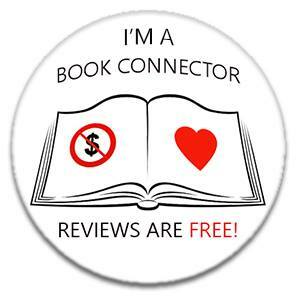 I’ve wanted to start a book review blog for a while now, I like the idea of having a place to record my thoughts and feelings about books that I read, and I’ve come to realise how important our reviews are to authors out there. The difference they make, not just how nice it must feel to get a good review, but also in sales. Amazon, for example, promotes books with lots of reviews much more than books with few, which in turn leads to more sales. The thing that stopped me from starting a blog was thinking of a decent name for it. All the ones I thought of were taken, and friends and family did no better. Then one day I was sitting on my sofa thinking about it and the name just came to me. If only I could read faster. Not the catchiest name out there, and longer than I’d of liked, but it fits me very well. And I imagine that many of you feel that way too, even if you’re a fast reader there are always too many books to read! A good proportion of the books that I read are ARC’s (advance reader copies) that I have been given by publishers and occasionally authors to read and review. I’m not paid to read them whether I give a 1* or 5* review, it makes no difference. I try to ensure that these reviews are the same as I’d give whether I’d bought the book for myself, so please don’t worry about my reviews being biased because of that. I hope that you enjoy this blog and that it inspires you to read more books. Please follow this blog to get updates, and I’m also on twitter and facebook. I’d love to hear what you think of the blog and books that you’ve read. Its named “Taare Zameen Par”. Your story reminded me of it! Continue reading and writing! Cheers! I’m afraid that I’m not able to review your book at the moment. Good luck with it though! Hi nice to come across your blog via The Bash attendees list. See you Saturday! Love your blog title!!! Ha ha, me too! My husband, like you, loves to read, and I’m sure he is dyslexic. We laughingly say he is “dyslexiconic” because he mixes up words. He is in his 70s, though, and they didn’t diagnose things like this back then. No matter; he plows on. He was awestruck on our honeymoon when he saw me reading on the plane. He imitates me flipping pages rapidly, which is an exaggeration, but I am a pretty fast reader. I read two books a week; he reads one every other week, but we both enjoy reading immensely. And, you are right, no matter how quickly one reads, it’s not fast enough to get to all the books waiting TBR!! I say, “You GO girl and keep it up.” You’re an excellent role model for your children. Thank you Kathy for your wonderful comment!! It really made me smile. Good on your husband, I’m so pleased that he enjoys reading. Does he use a Kindle?? If find that their special dyslexic font makes a big difference to me and I read much quicker using it so that might be worth a try for him?? Thank you again! !